Be Easy Debbie’s Pale Ale is a 5.8% American pale ale from Be Easy Brewing, based in Aomori, Japan. It’s part of their all-year round range of beers and at the time of writing, Be Easy Debbie’s Pale Ale is available in draft form only. It’s brewed using Maris Otter, Wheat, Munich malts with flaked oats and wheat with Warrior, Centennial, and also Mosaic hops to give it an IBU of 42. A very good effort for a first time brew. I’m always nervous about trying a beer from a new brewery. Be Easy Brewing opened in the latter half of 2016, with their first beers coming out in December at their tap room in Aomori. Yes, Aomori. Aomori doesn’t have a good reputation on BeerTengoku, thanks to Aomori Ji-Beer’s herculean efforts to screw up their beers, but Tetsu at Craftsman Yokohama really recommended Be Easy Debbie’s Pale Ale. 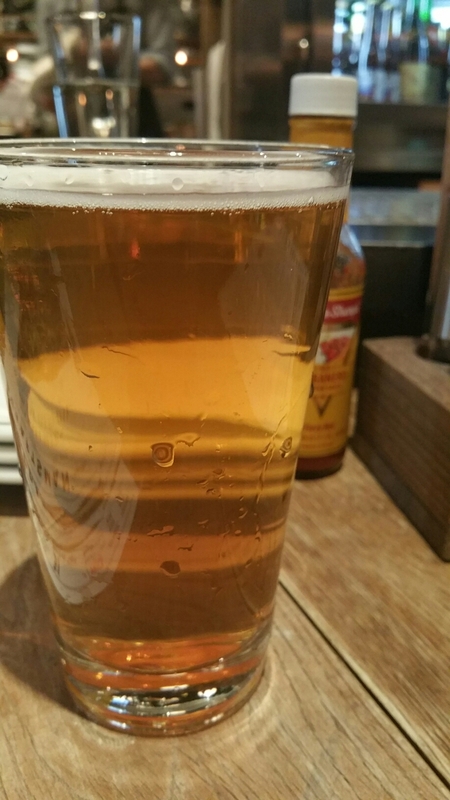 Be Easy Debbie’s Pale Ale came up a light golden colour that was surprisingly clear – no sediment not chill haze – so either they have some excellent filtration system at Be Easy Brewing or they tried something different. It had a strong citrus piney aroma to it that had an undercurrent of earthiness to it. The malts came through with a slight hint of sweetness to it but the hops were first and foremost on show today. The initial bitterness in Be Easy Debbie’s Pale Ale was smooth rather than an aggressive sharp taste that Warrior hops can bring on, before segueing into a citrus and piney flavour that lingered throughout drinking. It was also dry and crisp, not good for a cold winter’s day I admit, but it was nice and before I knew it, half a pint had gone down pretty quickly. The 5.8% abv isn’t detectable either, so be careful if you think you can have a drinking session with Be Easy Debbie’s Pale Ale. It finished off with a earthy citrus aftertaste and the bitterness lingering – if you have the patience to wait between drinking. Be Easy Debbie’s Pale Ale is a cracking little American pale ale that, for only a second beer, is a fantastic batch. Here’s hoping for more.